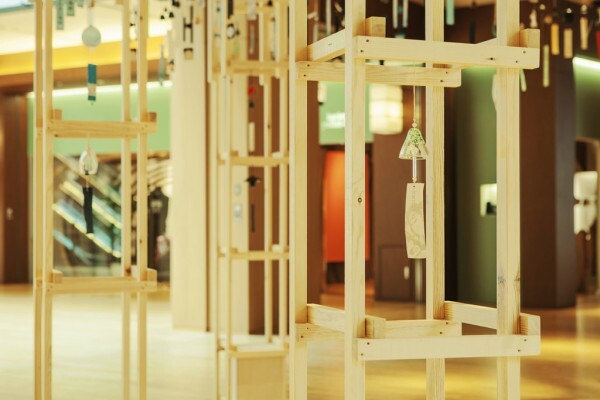 For a second year in a row, we supervised the site for the "Furin-saisai" Wind Chime Festival, one of the events of “MIDTOWN ❤ SUMMER 2013”, held every summer at Tokyo Midtown. 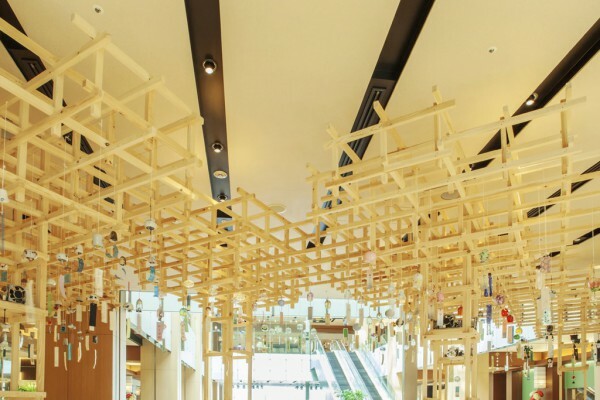 Approximately 500 wind chimes by 29 producers from all over Japan are exhibited throughout the first floor to the third floor to the theme of “the Coolness of a Japanese Summer” inside the Galleria shopping area. 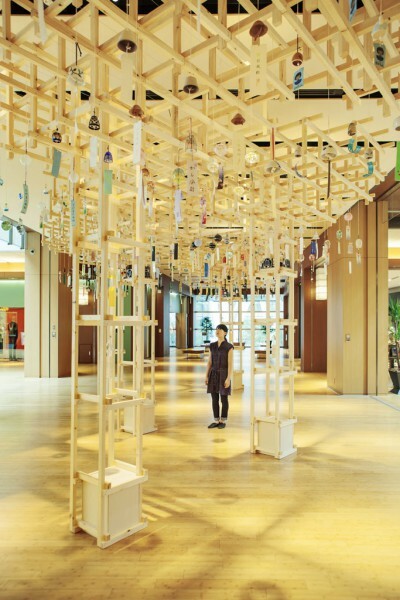 Last year's exhibition focused on showcasing each wind chime individually. 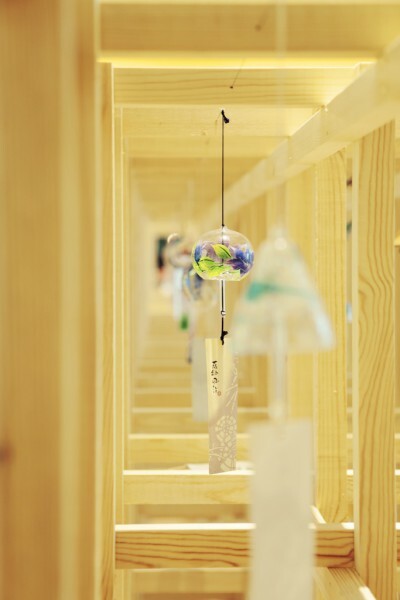 However, this year we opted for a display method that would bring out the sounds of the wind chimes. 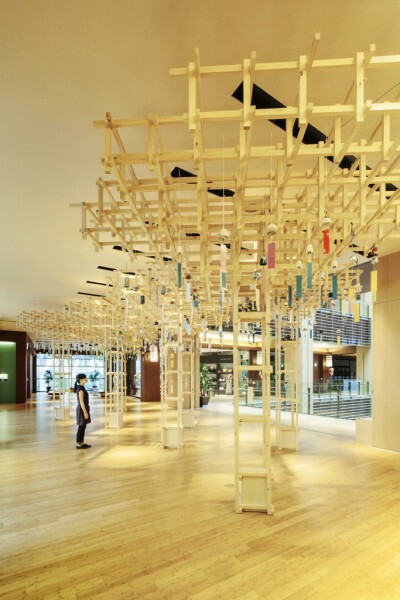 On the second and third floors, the latticed canopy hanging above creates a structure representing foliage growing from the bristling wooden framework towers. 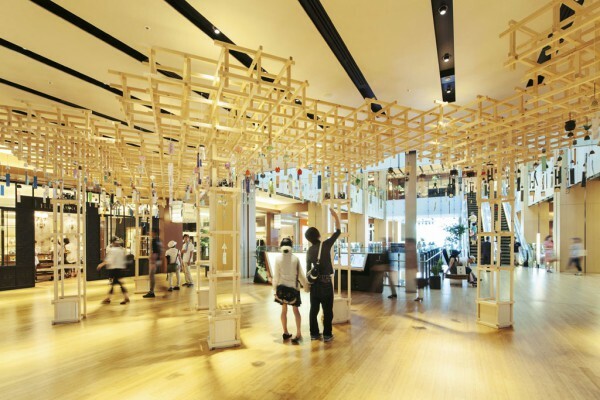 We planned the exhibition for visitors to enjoy by hanging many wind chimes from the canopy like fruits from a tree blowing in the wind from a blower and chiming in the background. 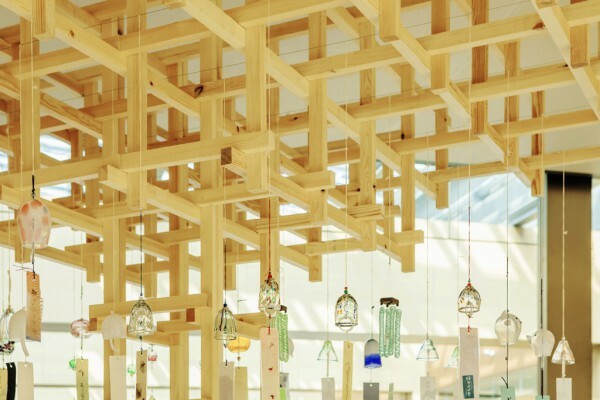 On the first floor, the wooden framework creates a wall of nested chimes where each chime can be observed individually in detail. 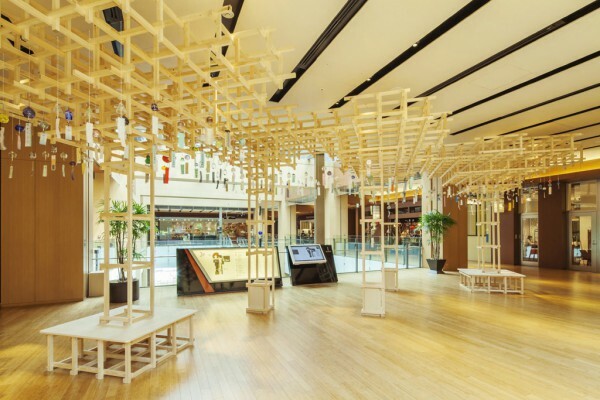 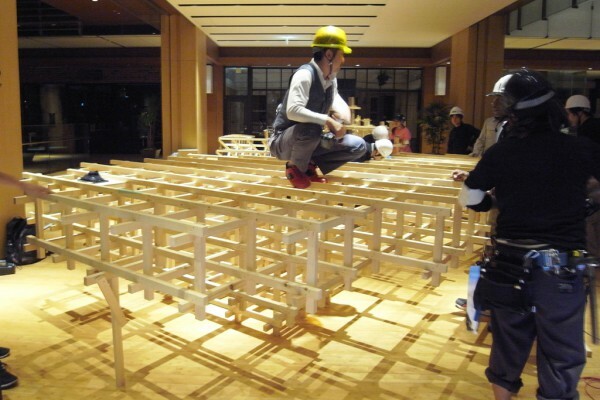 The tree-like wooden structure layout follows that of an orchestra where wind chimes are arranged by instrument materials, such as glass, ceramic and metal. 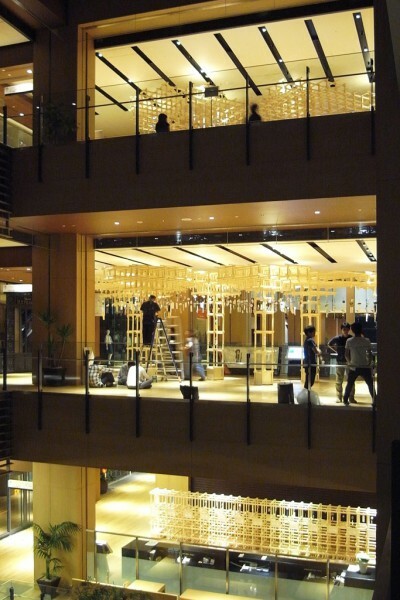 The blowers placed atop the towers are controlled by a program and can be turned on and off to make the wind chimes sound according to materials or all at once while competing with the background score by wind chime artists. 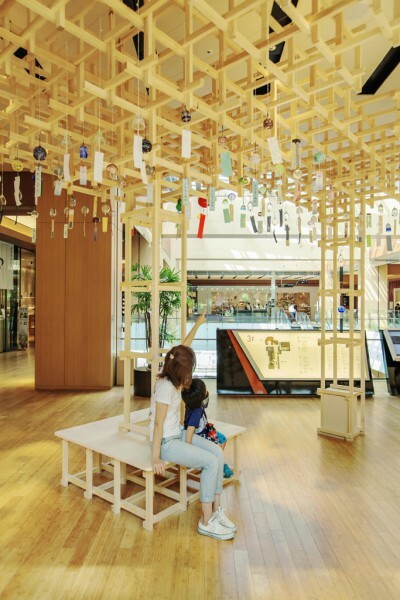 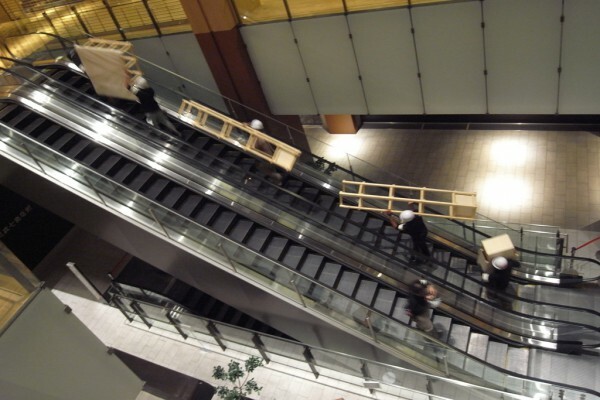 We have focused this installation to allow the cooling sounds of the wind chimes to fill the entire Galleria as they spread from under the shade of wind chime-bearing trees.